If you are on a budget, you may be interested in learning how to create a spa at home me. I can’t justify spending hundreds of dollars on a day at the spa, so I decided to give it a DIY approach! I was sure that if I put my mind to it, I could put together a few ideas to pamper myself at home. I also thought I would look into ways to get my husband involved, so it was more of a spa experience for me! Here are some really great suggestions to create that spa experience in the privacy of your own home. Make The Time: You need to make time for yourself, which is something women have a difficult time with. We spend so much of our time taking care of others that we don’t give ourselves the same luxury. By not making ourselves a priority, we are giving ourselves the message we aren’t worth the time. Even if you just take 15 minutes a day to be alone and relax, it will be a huge help. Set The Mood: If you have ever been to a spa, you know part of the allure is the relaxing atmosphere they create for you. Find yourself some relaxing music, light some candles because when you make your surroundings inviting, you will want to hang out there for a while! Eat And Drink: Many spas serve healthy meals and snacks, so make a plate of fresh fruit, whole grain crackers and yummy cheese. Don’t forget to treat yourself to a sparkling drink to complete the setting. Treat Your Body: Although part of the spa experience is the mental escape, a spa day isn’t complete without some decadent treatments for your body. The school of thought on this is you should treat the outside of your body with the same quality you put into your body. How silly is it to eat healthy but neglect your skin right? The new brio SilkStone electric pedicure file will give your calloused feet and hands the treatment they deserve from the comfort of home. When you treat yourself to a spa day, you give your skin healthy glow you deserve. When you use high quality products on your skin, it tends to show, which is great! When you are at home though, taking care of your feet and hands in true salon fashion can be quite difficult. 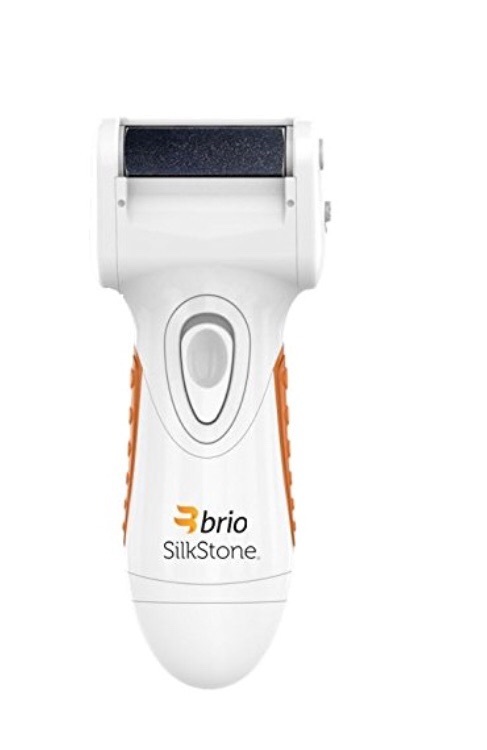 The Brio SilkStone electric pedicure file will take the work out of getting quality results at home or while traveling. the compact size pack a lot punch and doesn’t require soaking of the feet. the powerful motor smooths out tough callouses on hands and feet fast and easy without the hazards of sharp blades. Battery powered and compact make it perfect for travel too. The SilkStone is available from Amazon ($34.95) along with other great Brio 4 Life products. Go organic it’s the best. No chemicals..
I’m dying to try the Love Coconut.